Camping is fun, but no one wants to spend a cold night without heat. Before you need your RV heater, you will want to make sure it’s in good running condition, since it is used the least in your RV. 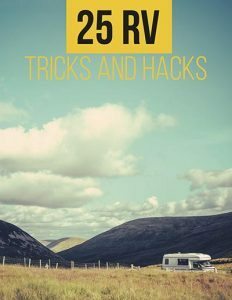 Here’s a few easy RV heater troubleshooting tips and basic repairs, to give you a helping hand. If the furnace runs, but you aren’t getting any heat, check to see if the propane is turned on. If the furnace still doesn’t run, try lighting a stove burner. This will ensure the stove is getting propane. If the pilot won’t light, check to be sure you have propane. One other RV heater troubleshooting tip is: check the thermocouple. Be sure it is clear of any spider webs or insect nests. The thermocouple needs to be in the correct position in the burner to work correctly. If the thermocouple is bad, remove it and buy one exactly the same as the one you are replacing. The thermocouple is an easy and inexpensive repair. The cost to buy a new one is about $10.00. 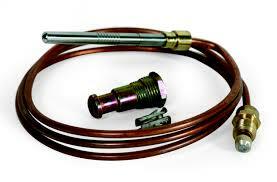 The thermocouple is a bimetallic sensor whose electrical resistance changes with temperature. This change in resistance is detected by the control system, to ensure there is a flame before it opens the main gas valve. Is there a funky smell when you turn on the heat? This is normal when it has not been running. It will clear up once the furnace has been running for a short period. What if the fan is running, but there is no heat? The furnace has an internal flow switch, otherwise known as a “sail switch.” The sail switch is an on/off switch, which when there’s not enough air flow, will stop the furnace from igniting. The fan will run, but there will be no heat. The sail switch can malfunction, or just go bad. If there’s bad return air flow or not enough venting, the furnace won’t light due to this switch. 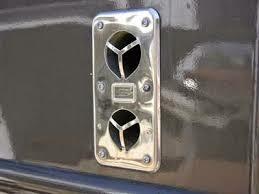 A sail switch has also been known to stick occasionally. What if the fan isn’t running and there is no heat coming from the furnace? Check to see if your battery is putting out 12V at the furnace. If there’s not enough voltage coming from the battery, the fan won’t run. The heat runs on 12V, not 110. Otherwise, it could be a tripped circuit breaker or a blown fuse. If it’s a tripped circuit breaker, reset it. Replace the blown fuse. Another great RV heater troubleshooting tip: if you see soot on the outside of the RV by the exhaust vent, check all vents. The soot is telling you there’s improper combustion, which is leaving unburned fuel as it is venting. It should be burning somewhat clean. It is not normal to see soot on your exhaust vent. 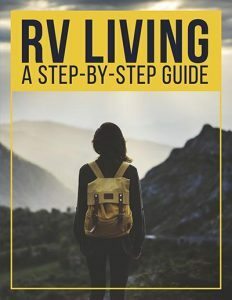 With these tips and helpful hints on basic repairs on your RV heater, you should be able to troubleshoot and do basic repairs to your RV heater. These basic repairs may be just what keeps you from making an expensive phone call. Good luck!